RF treatments area designed to target and stimulate collagen. Collagen that lifts the jawline back to where it used to be, collagen that helps put cheeks back up on the cheek bones, collagen that softens lines and wrinkles and keeps you from having an unattractive chin waddle. Clients regularly don’t believe us when we say its delightfully comfortable – until they fall asleep during one of their 8 weekly treatments. (yes, it is that comfy) It can also be performed on the body. Knees looking a little saggy? We got ya covered. Tummy not as perky as you’d like? We can RF that too! You have heard us talk about IPL boosted fractora lots (if not, click here). 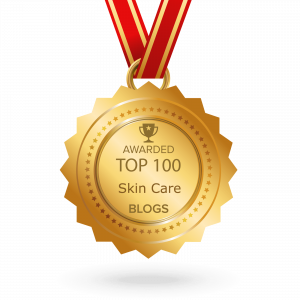 It is great for targeting collagen loss, redness, large pores and brown spots all at once. In creates a peachy smooth complexion that is sure to be envied by many for its tautness and clarity. There is a reason this is a client favorite and one of our all-time favorites. The best results are ALWAYS achieved when treatment therapies are combined. 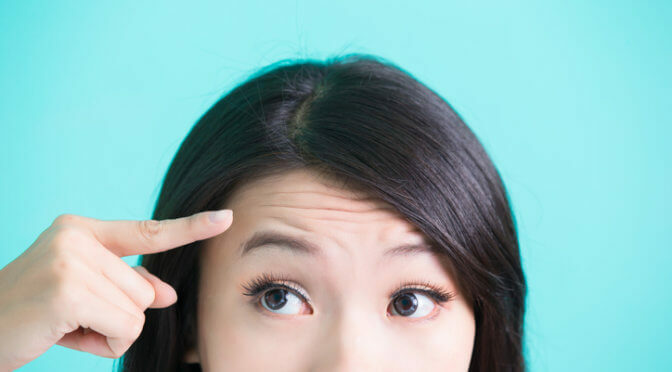 Each treatment targets volume loss and collagen degradation in a unique way. 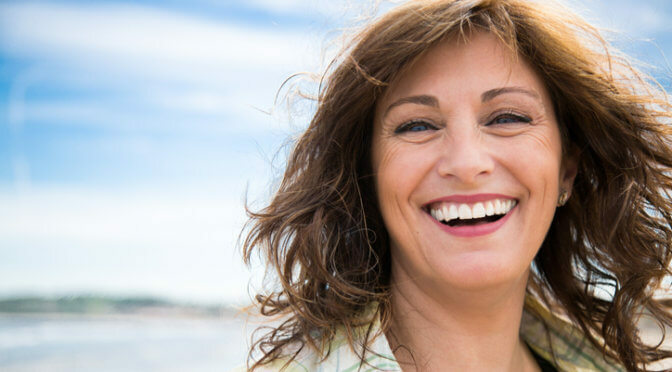 By combining let’s say a series of RF treatments and a syringe or two of filler, you are able to achieve natural results that last AND treat multiple signs of aging from several different places which means amazing results! If you are interested in learning which combination of treatments is best for you, call us! We are skilled at designing custom treatment protocols and coaching you through each step of the process! Her Story: Pam was really self conscious of the constant ingrown hairs that were almost always covering her Lower legs. It prevented her from wearing shorts. She avoided swimming on vacation with her family. She avoided any school activity that required a dress, being self conscious of how her legs looked. 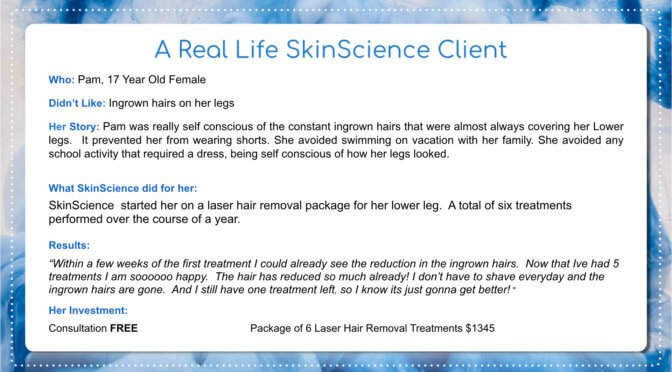 SkinScience started her on a laser hair removal package for her lower leg. A total of six treatments performed over the course of a year. 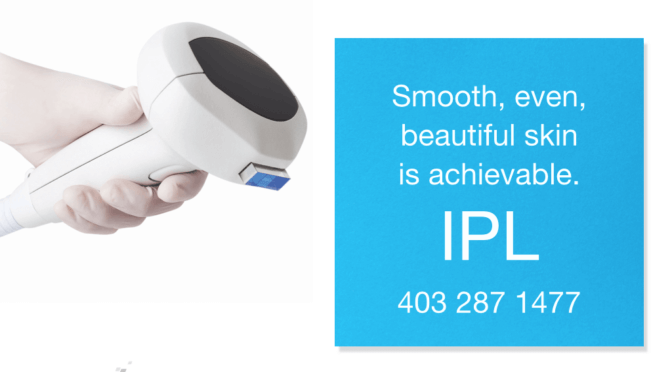 We love our IPL! We weren’t voted Calgary’s best laser clinic for nothing. Here are the reasons that we LOVE IPL! Why Nivian Says You Should: IPL is perfect for anyone wanting smooth even skin. It targets freckles, sun spots, red veins, red patches, age spots and more! It tightens and smooths the surface of your skin while also making it delightfully even. Why Mikelle Says to Just Do it: IPL also helps stimulate collagen, as well as even out skin tone. Who doesn’t want that? Why Marie says to take the plunge: Because adding your chest to your existing IPL is only $249. Why wouldn’t you? Why Misean says to start today: IPL targets so many concerns that so many of you have. Her Story: Jenni felt like shaving was a futile battle. By the end of they day she felt like she had a “5 O’clock shadow” on her lower legs which felt stubbly and was irritating. 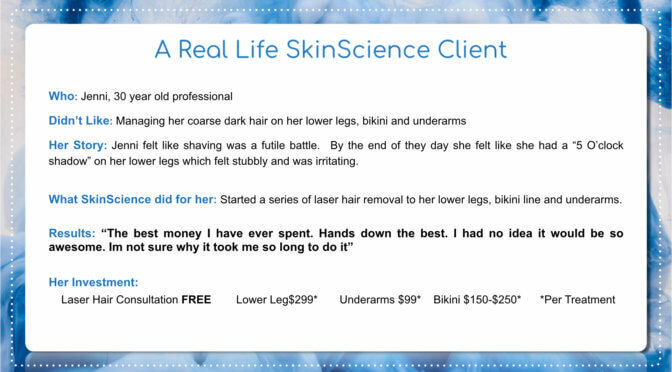 What SkinScience did for her: Started a series of laser hair removal to her lower legs, bikini line and underarms.